Hi. I am getting recurring error codes P1106 and P1108. I have found out that these are related to the Charge Absolute Air Pressure sensor. I have a 2000 9-5 wagon with 2.3l engine. The CAAPS is located on the air intake pipe between the intercooler and the throttle body. Just above the turbo diverter valve. Very easy to change,maybe 10 minutes work. Last edited by Mike Brennan; 01-26-2015 at 05:52 AM. P1108	Dual Alternator Battery Lamp Circuit Malfunction. So, unless this code chart is wrong you really only have the one real problem and that is with 1106. From Saab World I think? Saab Trionic T7 is an engine management system (control module) that governs air mass, fuel and ignition. • Turbo lag can be compensated. • Emissions can be reduced in connection with load changes. • Integrated idle speed control. • Load compensation possible throughout the whole load and speed range. • Efficient torque limitation as necessary. • Cruise control easy to integrate. Fuel injection is sequential and is controlled by the air mass flow. 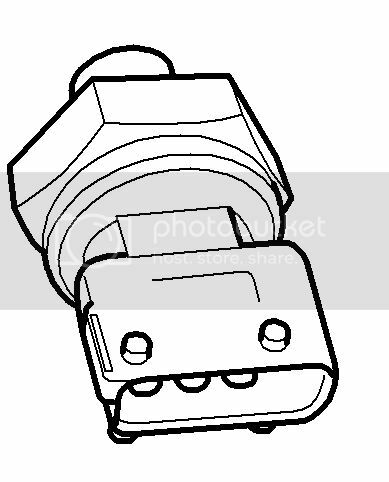 Ignition is performed by an ignition discharge module. The spark plugs are used as sensors to detect combustion and knocking. This means that neither a camshaft position sensor nor a knock sensor is required. • Contains the pedal position sensor (turned by the accelerator cable), the throttle motor and the throttle position sensor. • Informs the control module of the driver's torque request. • Turns the throttle to the position determined by the control module. • Fed by a relay, the limp-home solenoid (640) is governed by the control module. • Mechanically connects the accelerator cable to the throttle spindle of a fault arises in the throttle body or any of its leads. The mechanism must be reset manually. • Informs the control module of the pressure level in front of the throttle. • Used for determining density of air in front of the throttle. Dense air requires a smaller throttle angle. • Informs the control module of the temperature in front of the throttle. • Informs the control module of the pressure in front of the throttle. • Used to correct the value from the mass air flow sensor during rapid load changes. • Connects the bypass valve control in front of the throttle. • When the accelerator pedal is released, the bypass valve control line is connected after the throttle. Prevents noise and varying charge pressure. • Sends frequency modulated information on the air mass flow to the control module. • Acts as the main sensor for fuel injection. 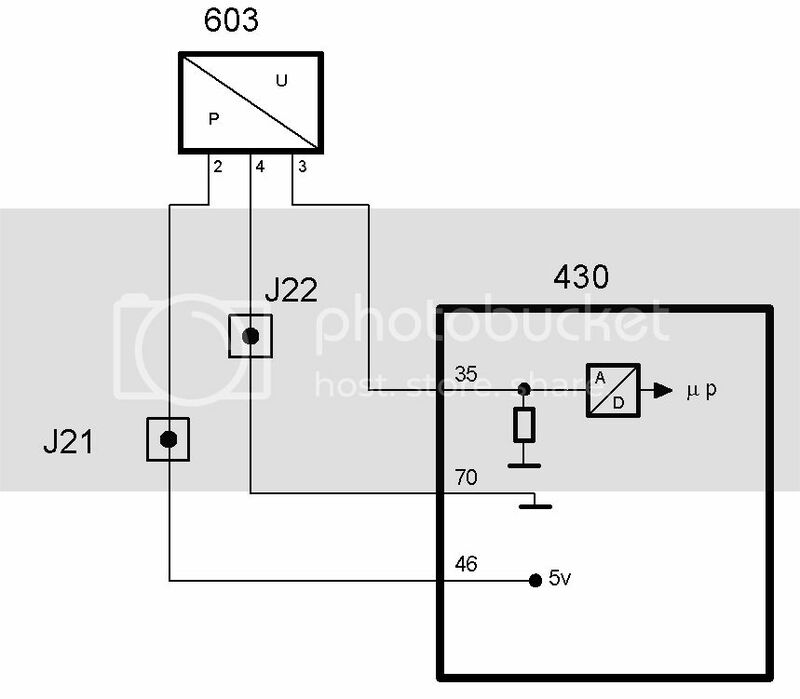 P1106: Charge Air Absolute Pressure Sensor Circuit. Performance Problem. -Engine speed drops slower than normal when accelerator pedal is releases. -Crankshaft stationary, even after ignition OFF. Car Stationary. The other two absolute pressure sensors deviate less than 10 kPa from each other. -Engine running and the voltage is higher than 4.815 V for more than 5 seconds. For this one it says "Note: Jiggle the leads and in-line connectors at various points and in different directions to detect any intermittent breaks or short circuits in the wiring." Don't know how far you may want to troubleshoot, but I'd check the wiring first because of the second code. Here's what you need to take a first look if you want to do that before throwing parts at it. The sensors themselves are generally pretty reliable. First T7 19T turbo setup. First T7 Deka 80lb. injector setup. Last edited by Drew in Houston; 01-26-2015 at 10:31 AM.